Most lists that deal with the best life insurance companies include the best companies overall. That will include factors such as size, financial rating, and industry and customer recognition. But we’re going to do something a little bit different here. Recognizing that everyone is different, and there’s no one-size-fits-all when it comes to life insurance, we’re going to zero in on the companies that represent the best providers based on your individual circumstances. We’re going to focus on the best life insurance companies by category, which will include policies for seniors, for children, cancer survivors, for those who are in need of no medical exam policies, and for smokers. After all, it doesn’t matter how good an insurance company is overall if they are not in a position to provide you with a competitively priced life policy based on your own individual circumstances. Just about all life insurance companies write policies for seniors, but some specialize in the niche – they see it as an important part of their overall business mix. These three companies are especially welcoming for seniors. Massachusetts Mutual Life Insurance Company. Founded in 1851, MassMutual has been rated one of the “most admired life and health insurance companies in the world.” For seniors, the company offers an assortment of flexible coverage options and policy riders, such as terminal illness riders and waiver of premium for disability. They also offer an attractive no medical exam plan. The Hartford. One of the very best in offering life insurance products to seniors, the company is also highly regarded and financially solid. They offer no medical exam policies to people under 70, including existing customers who have term policies with them and want to convert them to permanent coverage. Like MassMutual, they also offer a waiver of premium option that pays your premiums in the event of disability. They also offer an estate protection rider that can be used to pay estate taxes. There’s a lot going on with this company if you’re a senior. MetLife. Another insurance industry icon, MetLife offers guaranteed insurability, disability, and waiver of premium riders, in addition to a no medical exam and burial life insurance options. And like other large insurance companies, MetLife is a fully diversified financial provider, offering a large number of investment options that will be useful to wealthier seniors. Gerber Life. A relative newcomer to the life insurance world, having been founded in 1967, this is probably the life insurance company most closely identified with providing coverage for children. They’ve captured a large share of the juvenile life insurance market in large part because their polices focus on affordability. But their product line is one of the most innovative in the market. Gerber’s Grow-Up Plan doubles the face value of the policy automatically when the child reaches age 18. And it does so with no increase in the monthly premium. In that way, the plan is not only a good one for children, but it also serves as an excellent starter policy when they become young adults. Prudential. One the oldest and most respected insurance companies in America, Prudential is now a trillion dollar diversified financial company. They offer the full range of life insurance products, including some innovative plans for children. Globe Life. This company has only been around about half as long as Prudential, but it’s become a significant player when it comes to life insurance for kids. They’re currently advertising policies for as little as $2.17 per month, with no medical exam and no waiting period. There was a time – not so long ago – when it was rare to find a life insurance company that would approve a policy on a cancer survivor. But as survival rates and longevity have increased, many companies are moving into the niche. But some are doing it better than others. This doesn’t mean that they will provide life insurance for anyone who is a cancer survivor under any circumstances. But your chances will be a lot better if you work with one of these companies. The Hartford. The company is particularly proactive in providing life insurance coverage for survivors of breast cancer and prostate cancer. They will provide coverage for as much as $5 million. As is the case with all applicants with a cancer history, how much coverage is available and at what premium will depend on the type of cancer, how far it progressed, how long it’s been in remission, and what the prognosis for survival is. Massachusetts Mutual Life Insurance Co. Another well established company that’s taking a more favorable view of cancer. In truth, MassMutual has been offering life insurance to cancer survivors all the way back to the 1960s. Much of this is driven by improved treatment options, higher survival rates, and increased longevity, but MassMutual has been at the forefront of upping their game in covering this slice of the market. This category is essentially life insurance for people who can’t get life insurance. Health conditions are the biggest reason for this, and this is why guaranteed issue life insurance – the kind that requires no medical exam – has evolved. If you have been found to be generally uninsurable due to health conditions, these five companies offer some of the most affordable life policies available, and at the most competitive rates. MetLife. A strong company that offers life insurance company that offers policies with no medical exam and no health questions – does it get any better than that? MetLife will provide a policy – Final Expense Whole Life – with coverage of up to $20,000, for as little as $10 per month, and no medical exam. You cannot be turned down! You can take the policies up to age 75, which is more generous than the industry standard. Globe Life Insurance. This company will provide a policy with no medical exam, and just a few yes/no type questions. And they’ll provide a death benefit of up to $100,000. That’s one of the most generous death benefits available anywhere on a no medical exam policy. Colonial Penn. I’m sure you’ve seen these guys on TV, with their litany of commercials. Colonial Penn was one of the first companies to offer Guaranteed Acceptance Life Insurance back in 1968, and it remains their most popular plan to this day. It is exclusively for people 50 and older, and is available up to age 85 in most states. As the commercial states, there are no health questions asked, and no medical exams. There is a two year exclusion period, after which your premiums won’t increase, and your benefit can’t be reduced. Mutual of Omaha. Another of the best established and most respected insurance companies in the world. The company offers its Guaranteed Acceptance With Lifelong Protection plan, a whole life policy for up to $25,000. They represent that your acceptance is guaranteed between the ages 45-85 (in most states) with no physical exams or health questions to answer. Rates are affordable and never increase, and benefits are never reduced because of age or health. AARP/New York Life. AARP issues this plan through New York Life. This is permanent, group coverage, available to AARP members between the ages of 50 and 80. It is available to AARP members everywhere except New Jersey and Washington (New York has different age limits – 50 to 75). And you can apply for the plan at the same time you take your AARP membership. You can get coverage for up to $15,000 with no medical exam and no health questions. Acceptance is guaranteed and rates will never increase. As is typical with no medical exam policies, the plan does have limited benefits for the first two years. Smoking is something of a dirty word in the public square. But just like everyone else, smokers need life insurance. It’s no small market either, since more than 20% of Americans are smokers. Some companies in the life insurance world are aware of the size that market, and have specifically tailored their business to capture it. Here are seven of those companies. Transamerica Life Insurance Company. The company behind the famous Transamerica Pyramid building traces its roots to humble beginnings more than a century ago. Today it’s one of the largest financial services companies in the world with nearly 20 million customers. It’s also one of the best life insurance companies for smokers. No special programs here, but the company offers one of the lowest premiums available for smokers, making it a good place to start a search. Northwestern Mutual Life Insurance Company. The Quiet Company is another well established, well respected financial services company with the full range of insurance products. Their term life preferred smoker plan is one of the most competitive in the market. Pacific Life Insurance Company. A Fortune 500 company that’s been around for over 145 years, Pacific Life is also a mutual insurance company, which means your policy will make you an owner in the company. Their Pacific PRIME Term 20 Preferred Tobacco plan is one of the most aggressively prices policies that a smoker will find. Ohio National Life Assurance Corporation. Based in Cincinnati, and not as well known as some other companies on this list, Ohio National was founded as a stock company, but became a mutual company in 1958. The company has policies available in 47 states (sorry Alaska, Hawaii and New York!). And they have one of the lowest priced smoker policies around. American General Life Insurance Company. Part of the AIG family, American General has been in the life insurance business since 1850. It currently has over 12 million customers. Some of those customers are smokers, who are taking advantage of some of the most competitively priced policies available to tobacco users. Banner Life Insurance Company. Another company that isn’t exactly a household name, but Banner Life has one of the better price structures on life insurance for smokers and is frequently considered one of the best life insurers in the market. The company has actually been around since 1949, but has had several name changes as its business has evolved. And for what it’s worth, Banner is the parent of it’s better known subsidiary insurance company, William Penn Life. New York Life Insurance Company. Another giant of the insurance universe, New York Life has been around since 1845. But despite its size and position in the industry, it also offers smokers some of the best rates on life insurance. 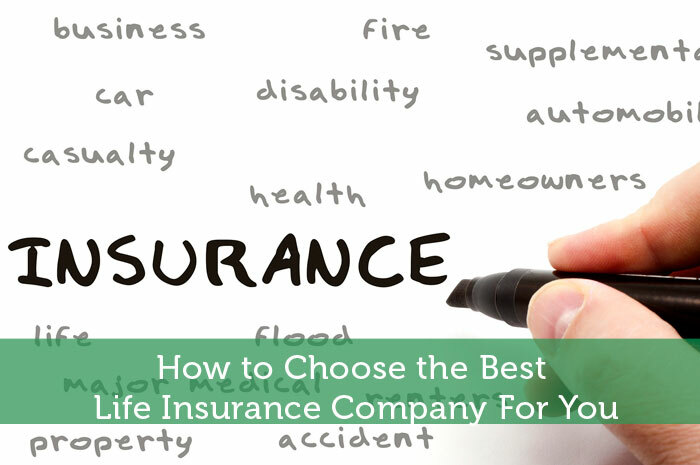 If you need life insurance, and you fall into any of the above categories, the companies listed under each will be excellent places to start your search. One thing I always ask an agent when they offer me Life Insurance : Will I get profit while paying my monthly premium. Some of the companies where I am at do not offer this kind. So I make sure I have profit apart from the premium. Fraternal organizations, like Modern Woodmen and the Knights, have some of the best Life insurance because they are tax-exempt, not for profit, and member owned. Great coverage for kids, seniors, and in between for the price plus added benefits.